We specialise in House Removals Northumberland. Catering for movers with all sized homes. No matter where you're moving to, we have it covered; from local removals to overseas. 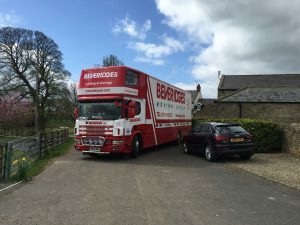 Beveridge removals Northumberland is a well established removal company. With 25 years experience within the removal industry, it's fair to say that we know a thing or two about moving house! In-fact, we consider ourselves to be experts, masters of our trade. Why use Beveridge House Removals Northumberland? First of all we'd like to point out that most of our work is repeat-work and recommendations from the people that we have moved. To us, this means that we are doing our job properly and our staff are succeeding in what we set out to do which is provide a service to the people of Northumberland like no other. So what are you waiting for? Get in touch for a no fuss, no obligation quote today! Use the form on this page to register your interest in our service and we'll be in touch as soon as we can.